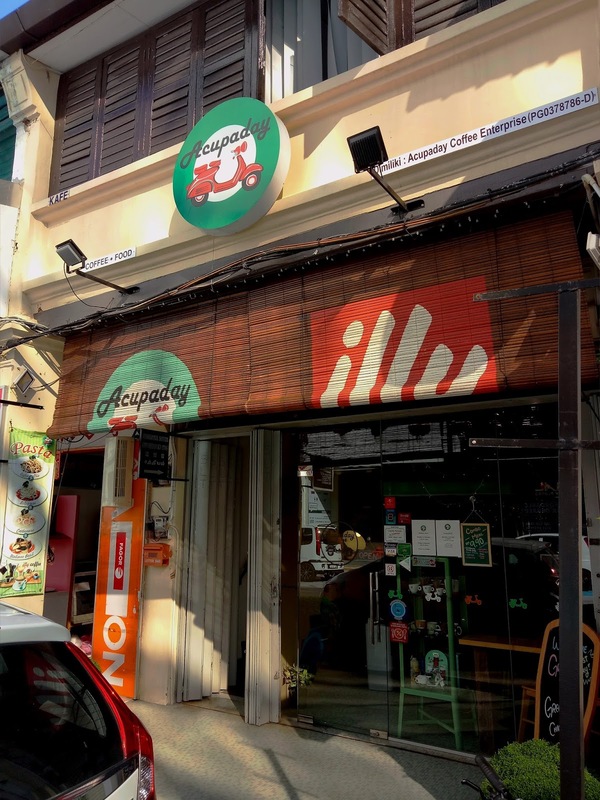 Acupaday is a Vespa-themed café at Bishop Street (Lebuh Bishop). Vespa is a brand of scooters from Italy. There used to be a Vespa at the front of the shop but it is nowhere to be seen today. 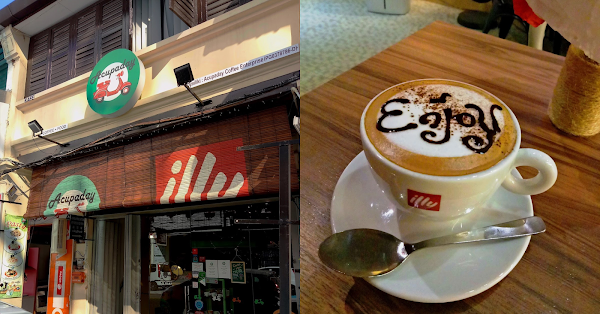 At Acupaday, coffee beans are brewed by illy. 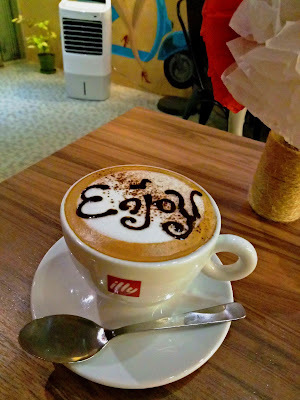 My cup of Cappuccino (RM10.00) has soothing creaminess, thanks to the presence of steamed milk. The coffee is topped with sprinkles of cocoa powder and chocolate sauce.